Keep the kids happy this Spring.. The birds are chirping, the flowers are in full bloom and the sun’s rays are warming our backyards. But how do we keep that energetic spring in our children’s step and stop them from sitting like a zombie in front of a computer screen? Swap technology for some outdoor trampolining! It is not only a healthy form of exercise but a fun-filled way to enjoy the day in the fresh air and feel good! At Topline Trampolines, we pride ourselves on our products providing physical, health and educational benefits which, in turn, lead to a much happier child. Researchers have found that children who spent from five to 10 hours a week outdoors have a stronger sense of self-fulfillment and purpose than those who don’t. Jumping helps kids understand their body better. Both sides of the brain and body work together to maintain balance and coordination. They develop better coordination overall and lead a rewarding life. It’s a fact that exercise affects chemicals in your brain and those can change how you feel. Kids who trampoline get more energy, feel better and stay calmer. Jumping is fun, period. And with happiness comes the ease of learning. 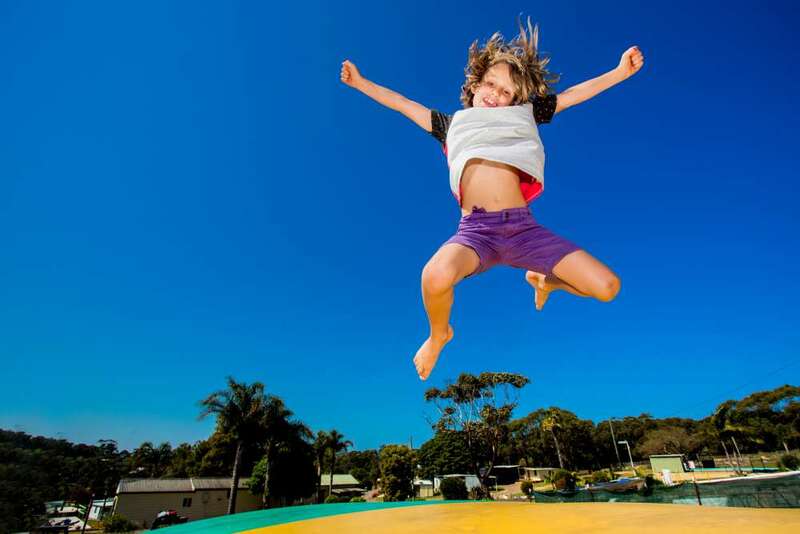 The presence of a mood-enhancing substance that gets produced when kids jump, gives them a grasp of things easier and often results in excelled learning.